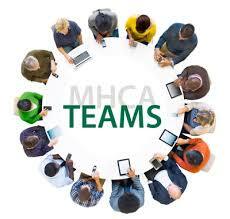 MHCA members have the opportunity to serve on teams that collaborate on projects to strengthen the association. Participating on teams is how our members get the most out of their membership. All Team members are appointed to a one-year term (July 1-June 30). If you are interested in being apart of a team, we will begin accepting applications again in May 2019. Member listservs are open to members only - you may subscribe at anytime. Subscribe to the Billers Listserv - This listserv is for members to communicate with one another in regard to billing questions if the need arises. Responsibility: Review, recommend direction and educate members on issues relating to quality improvement. The team will utilize reports and data to assist in driving outcome improvements and quality initiatives. Representation will be sought from Medicare Certified, non-Medicare Comprehensive, Home Care Nursing and Hospice agencies. Review data and identify trends from reports, including, but not limited to: CASPER, CAHPS, 5-Star Ratings and HomeHealth Compare. Develop and implement a plan to assist members in collecting and using outcome information to improve quality and address trends. Develop or recommend appropriate resources and education to address trend issues. Present at conferences, as needed. Other charges as requested by the MHCA Board of Directors. Responsibility: This group will advise association staff on timely educational topics with a focus on fostering solutions to some of the most pressing challenges facing our industry. Senior Management staff from member agencies, representing Medicare-Certified, Comprehensive, Home Care Nursing, Hospice, Palliative Care and Personal Care Assistants would make up this group. Recommend practical and useful high quality educational topics and speakers. Act in an advisory capacity for the MHCA Education Manager for all components of MHCA Education. Responsibility: Review, track and participate in state and federal legislative issues related to home care. Coordinate member grassroots engagement and provide applicable information and resources to members. Team members are expected to attend Day at the Capitol, actively communicate with their legislators and encourage other MHCA members to engage in grassroots activities. Representation from Medicare Certified, non-Medicare Comprehensive, Home Care Nursing, Hospice and Personal Care Assistant agencies will provide the voice for their segment of the MHCA membership. Recommend legislative priorities to the MHCA Board, identifying a maximum of 3 issues per year. Develop position papers and testimony, and work with MHCA Government Relations Counsel to draft appropriate legislation. Respond to legislative related requests in a timely manner. Lead MHCA grassroots advocacy efforts and organize/host “Day at the Capitol”. Provide input on the Policy Conference topics. Seek ongoing contact with state legislators. Responsibility: Stays current on MN health care programs and state payment issues. Develop a relationship with DHS and address issues that impact members. Team members will include representatives from agencies that offer Personal Care Assistant (Traditional and Choice), Home Care Nursing, 245D and other DHS services. Track issues, updates, and information regarding MN Department of Human Services (DHS) policy. Troubleshoots issues as patterns are identified. Provide timely updates to members on issues. Track issues that may require legislative action and forward to Legislative Team. Recommend educational topics to Education Advisory Group and present, as needed. Prepares educational documents/templates for members related to MA changes/policies. Assign a representative to track issues addressed through the MHCA Billers Listserv. Assist MHCA staff with answering MA related questions. Responsibility: Remain current on the Medicare home health benefit set, reimbursement and regulatory issues. Track issues, updates, and information regarding CMS and Medicare policy. Troubleshoot issues as patterns are identified. Provide timely updates to members. Develop white papers, articles, and comment letters for rule changes on Medicare related issues. Assist MHCA staff with answering Medicare related questions. Responsibility: Serve the needs of MHCA members by soliciting feedback from members; recommending goals and strategies to retain current members and recruit new members. This team acts as the “eyes and ears” of the membership and facilitates member engagement. As such, we will seek members from all segments of the MHCA membership. Assess MHCA membership trends, satisfaction, and interests. Identify and strengthen the member services and benefits that facilitate membership recruitment, retention and engagement. Review and analyze dues model on a periodic basis. Responsibility: Develop resources and education that addresses best practices, quality improvement, and standards and regulations for speech, physical and occupational therapies in the home health setting. Review updates in practice, standards and regulations, and shares information with members regarding assessments, interventions and processes. Prepare and present on topics such as therapy trends, best practices and changes, as needed. Responsibility: Stay current on state licensure and Medicare certification compliance. Educate members on and develop tools for implementing state and federal rules and regulations. Develop a relationship with MDH and address pertinent issues that impact members. MHCA would like representation from Medicare Certified, non-Medicare Comprehensive, Basic, Home Care Nursing and Hospice agencies. Track issues, updates, and information regarding MN Department of Health (MDH) policy changes/issues. Troubleshoots issues as patterns are identified. Identify state survey trends and related training needs, including creation of tools and mock survey training. Recommend educational topics and present at MHCA educational programs, as applicable.